In July, I was literally hit by a truck. Needless to add, I was grateful to survive the collision, but the prospect of prolonged immobility left me disoriented and depressed. A friend presented me with a copy of Ron Rosenbaum’s The Shakespeare Wars to lift my spirits, but before it could do that, I had to find a way to lift the 600-page book. A neighbor suggested the music stand she’d acquired since beginning flute lessons. Thus did two acts of kindness launch my journey through the vast, conflicted universe of Shakespeare scholarship with the most lively, irreverent, brilliant, and entertaining of guides. Ron Rosenbaum abandoned graduate work in English after falling in love with Shakespeare during a 1970 production of Peter Brook’s A Midsummer Night’s Dream. Unusual for a literary critic, Rosenbaum is unabashed about his intense emotional involvement with his subject. He realized that the dry, intellectual approaches to literature preached in his Yale seminars would never account for his experience of “imbibing the pure distilled essence of exhilaration.” Decades later, having gone on to a career in free-lance journalism, he speculates that scholars embrace the brand of literary theory he rejected in order to shield themselves from the “unbearable pleasure” of Shakespeare’s astonishing language. Why unbearable? Because a willing immersion in the fluid beauties and ambiguities of the poetry opens us to an experience of “bottomlessness,” infinitude. When the multiple possibilities defy reduction to a single, correct reading, anxiety may arise. In other words, the deeper we go into Shakespeare’s work, the more the easy takeaway eludes us. We’re forced to acknowledge that some things can’t be figured out. Bottom’s “rare vision” under the spell of Puck’s love potion itself is a model for one such experience. When he attempts to describe it, logical boundaries break down: eyes had never heard, ears seen, hands tasted, nor tongues conceived such a thing. Rosenbaum’s devotion to the playwright’s language led to a fascination with the minutiae of textual scholarship and the personalities of those who practice it. He traces the processes and conclusions of editors who have dedicated decades to analyzing and evaluating small differences among versions of the plays. And his account of their fierce conflicts is riveting. Repeatedly he demonstrates how the alteration of something apparently insignificant in the text, like the flutter of a butterfly’s wing, can reshuffle meanings until the tenor of the entire work has changed. 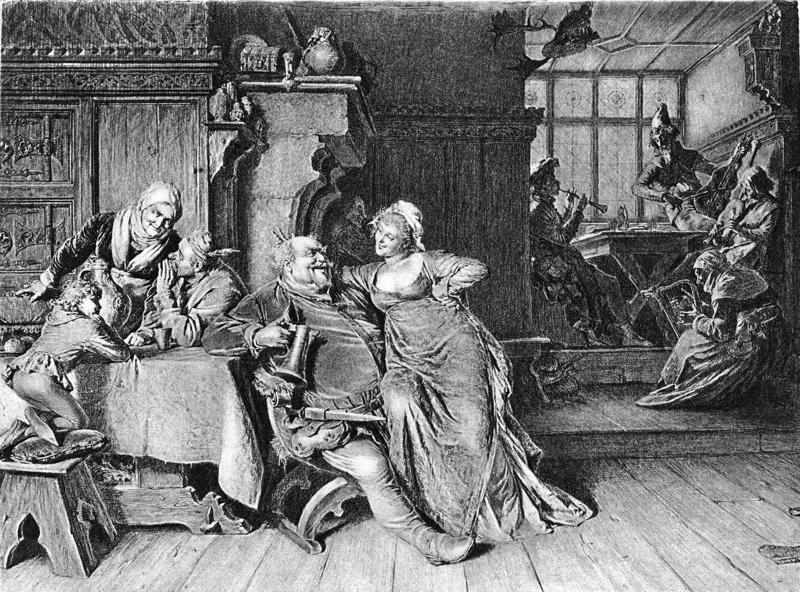 The “wars” of Rosenbaum’s title refer primarily to the battles this enterprise of textual editing has provoked around the three extant versions of Hamlet--the Bad Quarto (assembled by actors from memory, the conjecture goes), the good Quarto, and the published Folio--and the Quarto and Folio versions of King Lear. Above the battle and beyond all the versions glimmers the grail of a Lost Archetype, the hypothetical text in Shakespeare’s handwriting, straight from his heart, which was corrupted by actors, directors, and printers in passing it on. Are the several versions of each play variations on that single archetype diverging through human error? Or do they represent different drafts? Do textual changes demonstrate a later Folio version streamlined for the pragmatic purposes of theatrical production? Or rather did Shakespeare revise his own work on aesthetic/thematic grounds? Mainstream editors long chose to conflate the Quarto and Folio texts, striving through logic and intuition to fathom the playwright’s intentions, perhaps to retrieve the Lost Archetypes. 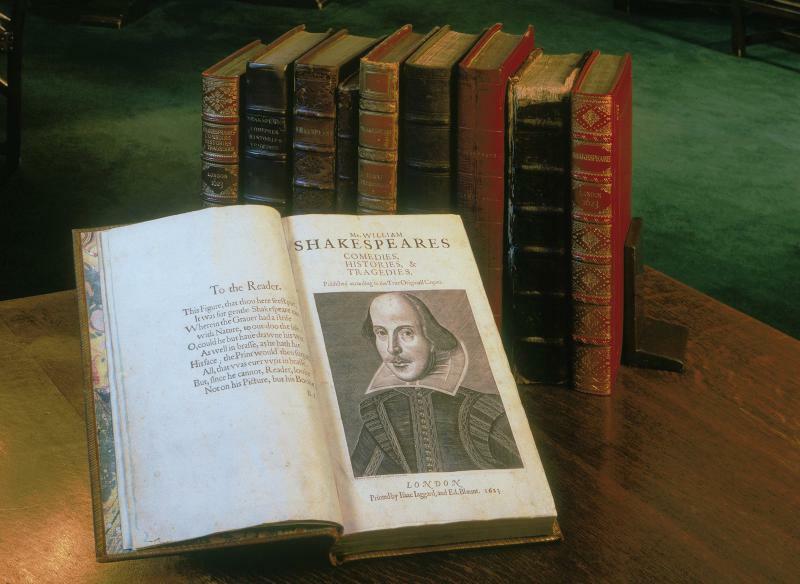 Then the upstart Revisers rose to prominence, insisting that the Folio contains Shakespeare’s final answers; thus Quarto and Folio versions should be published separately. Now in the pluralistic, split-screen twenty-first century, Bernice Kliman has presented us with the Enfolded Hamlet. This latest edition presents all possible variants contiguously, set off by different symbols, thus allowing the multi-tasker to glide back and forth over all three versions at once. 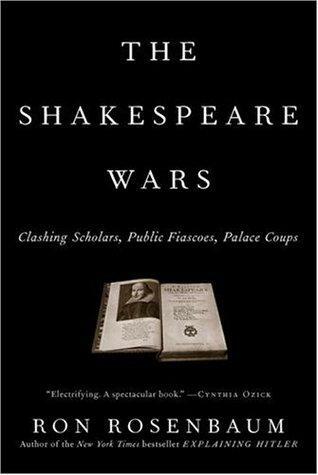 Besides probing the passion that can power a textual battle, The Shakespeare Wars offers an array of fascinating side-trips. In one chapter, Rosenbaum elucidates Peter Hall’s sacred pause in speaking Shakespeare’s verse; in another, John Andrews’s argument for maintaining the original spelling. A third pulls no punches in critiquing attempts to scrub The Merchant of Venice of anti-Semitism. A fourth argues that certain films will bring us into more intimate touch with Shakespeare than will a theatre performance. In a chapter entitled “You Can’t Have Him, Harold” (the him is Falstaff), Rosenbaum excoriates Harold Bloom for wielding “Big Ideas” and ignoring the nuances of language. Rosenbaum acknowledges that theatre requires a different approach to the text. For a show to go on, a director must resolve the multiplicity, “collapse the wave,” and choose one variant to be uttered on stage, one vision to be embodied. But he then doesn’t declare his production definitive, the only right one. At his next opportunity with that play, he will sink again below the textual surface into the “bottomlessness” of Shakespeare’s language and emerge with a different concept. Peter Brook called this tapping into “the secret play,” a vibrant cosmos of infinite possibility. Editor's note: This week, to mark the 400th anniversary of William Shakespeare's death, we will be running a series of stories examining the links between food and the Bard. Oh, and in case the headline didn't clue you in, this post contains sexually explicit language.